Have you ever met someone whose life is so incredibly fascinating, and that pairs with such a kind and beautiful spirit, that you just want this person to be your best friend? We've met two people like that – Rich and Andy Taylor. We were thrilled when we got the opportunity to do the branding and website for their new business, a creative and consulting company called Rich Imagination, and we met many times to talk about the progress and, honestly, to ask them for more stories from their lives. Tiffany: TBT to watching movies on Friday night with this adorable cat. Andy: TBT to when I was asked to be a judge for Miss America. Rich: TBT to when I was the Director of Entertainment for Disneyland Paris. 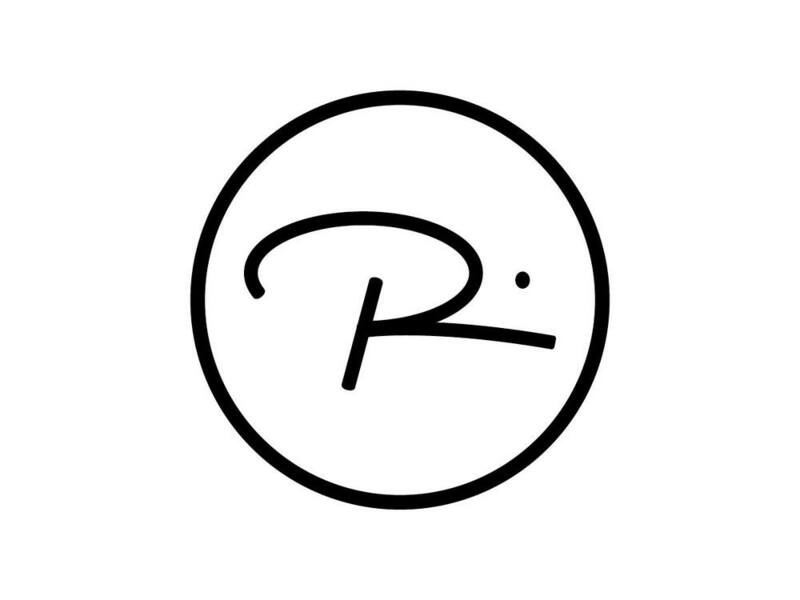 Needless to say, the two have a ton of industry connections, and Rich was already well known from his distinctive signature, so it was very important that the branding for their new business venture capitalize on that established identity. Other than that, they were open to ideas. They wanted something that expressed creativity (they brainstormed perhaps something with stars? ), and they did want their color palette to include black, white and a true red. First, we took his signature and adjusted the curves and proportions just a bit. Then we set to work brainstorming ideas. In the end, we presented several concepts and were delighted with their choice. Often, the simplest solution is the best, and that is true in this case too. The perfect logo was so close to his original signature, but just shifted the dot a bit to create the initials for their new company: Rich Imagination. Then came the task of taking that logo, refining it, setting and resetting the typography, incorporating color, and getting it just right. Click through to see some of the transformation from his original signature through the logo process to the final solution. We set to work on building their website, and as part of that, we were able to work with Caitlin Cadieux, one of our creative partners, to animate the logo and show how it was built. This video serves as the introduction to their website and a little hint at the creativity and the work behind their business. Otherwise, their website incorporates their bold color palette and builds the story behind them and their company. We are so grateful to have had the opportunity to work on the branding and website for this exciting venture and to get to share so many hours with these two amazing people. See the website and find out more about their business at richimagination.net.